I thought this was a good book. It contained lots of interesting reflections, and provided a lot of food for thought. 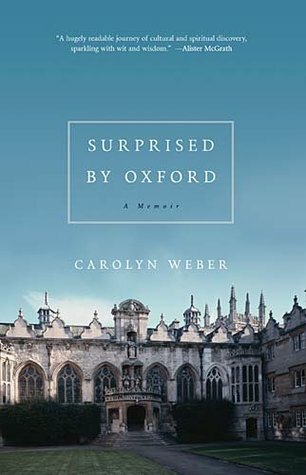 I enjoyed following the author's journey to faith, and the literary allusions and Oxford setting definitely helped as well. There was also a little bit of romance. I did have some minor issues; I found that some of the dialogue in the book didn't quite feel real, but I realise that, since the author was writing fifteen or so years after the events described, obviously she wasn't going to remember exactly what was said. I also sometimes found the thread of the story and the different characters difficult to keep track of; there are quite a few sidelines into reflections on various topics, which I enjoyed, so this isn't really a criticism (and may also have been because I read the book over a few months; it would probably have been easier to follow if I'd read it a bit more quickly).